A high-profiled documentary about Hergé and his major cartoon success, Tintin, based in part on previously unreleased archive tape footage. Meet the man behind the masterpiece. Tintin was one of my favorite heroes as a kid. I used to borrow the books from the school library every chance I got. My favorite one was "The Red Sea Sharks" - so much action and humor. 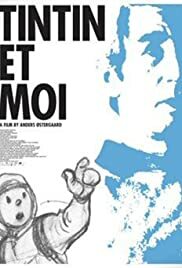 This documentary was a brilliant exposition of the background story of Herge and his development of Tintin. The film-maker's personal experience in interviewing Herge and the story of his relationship with the artist who was the inspiration for the Chan character was very moving. A great documentary of a very talented and well-loved artist. A great example of someone who has become internationally renown, and has brought joy of millions of children (and the young at heart) all over the world.